When I come home I like to make a big deal out of spending time with my sister. It was a really hard thing, leaving her behind to go to uni. I wanted to be around while she tackles being a teenager and she still has a way to go until she is one. 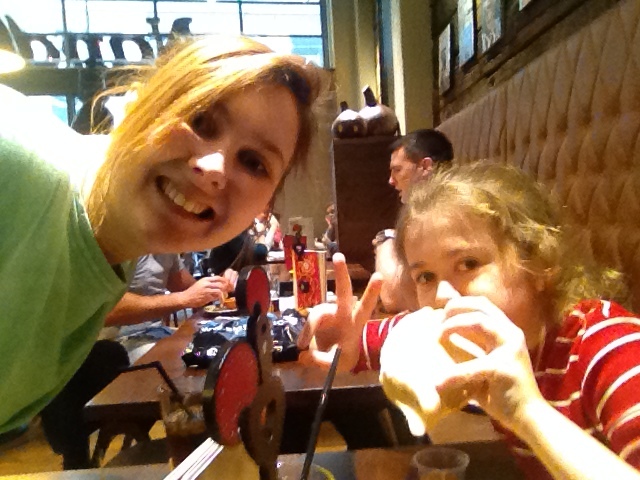 Tonight’s treat was Nandos, just the two of us. It’s something we’ve done before and that we like doing together, as usual big sister pays! I don’t mind though. I am nervous about going back tomorrow, it’s easy to get lonely in halls and when I’m lonely it’s easy to get low. I’m trying to stay positive and focus in the future. Easter Sunday and Happy Birthday Nanna!